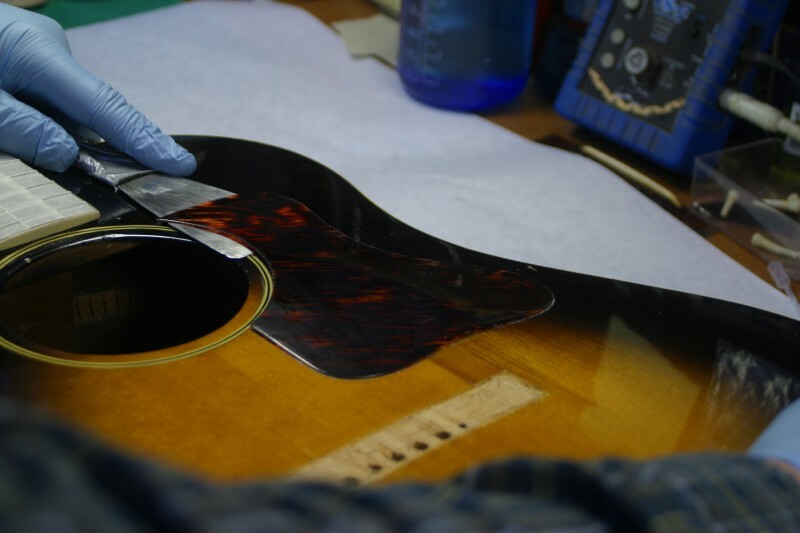 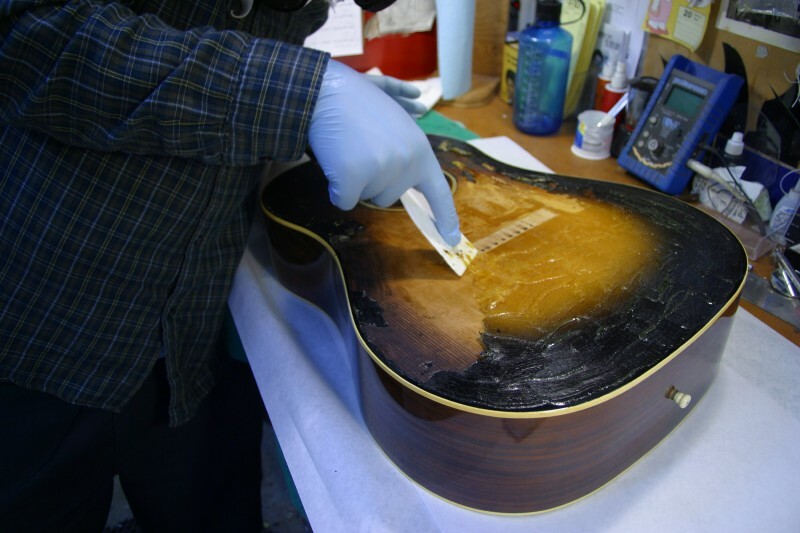 As often is the case in the guitar repair universe, a customer brings in a beautiful old guitar that at some point had received the wrong repair. 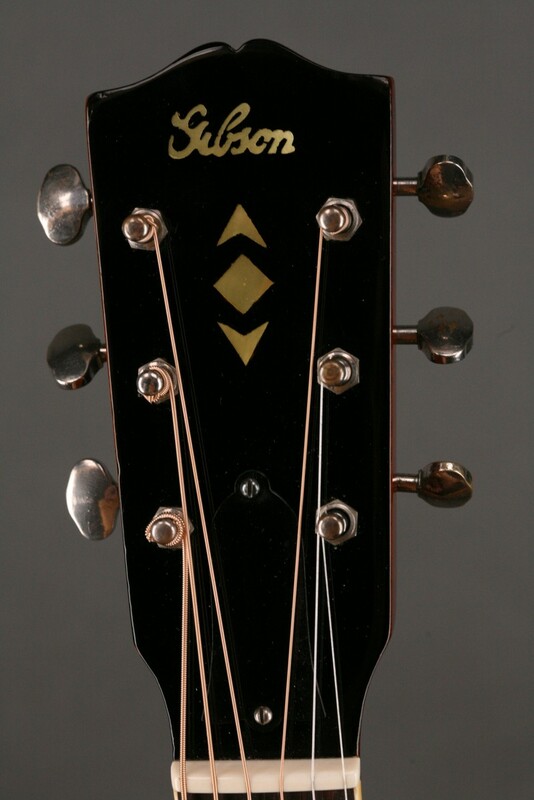 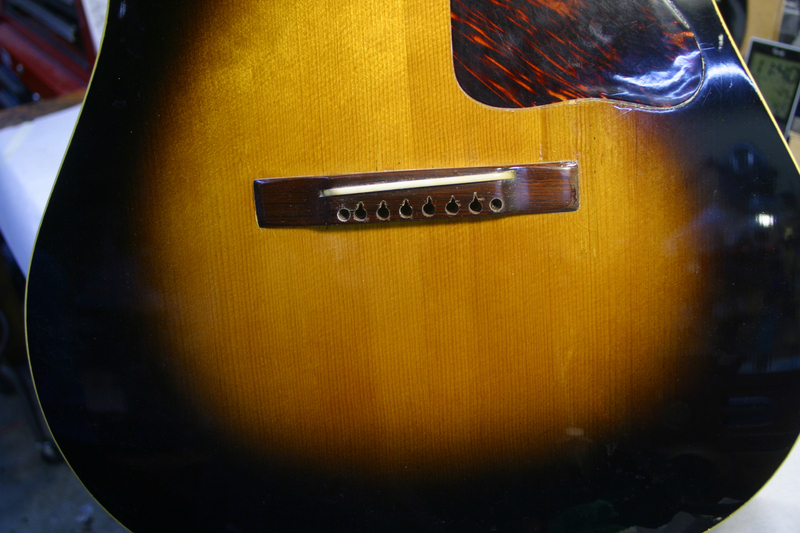 Kind of like when good dogs do bad things, this 1940’s Gibson AJ had an accident at the sunburst booth. 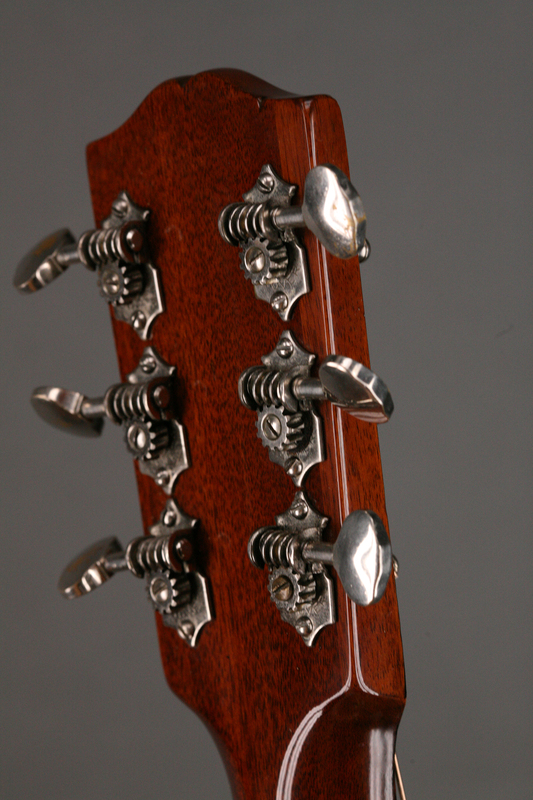 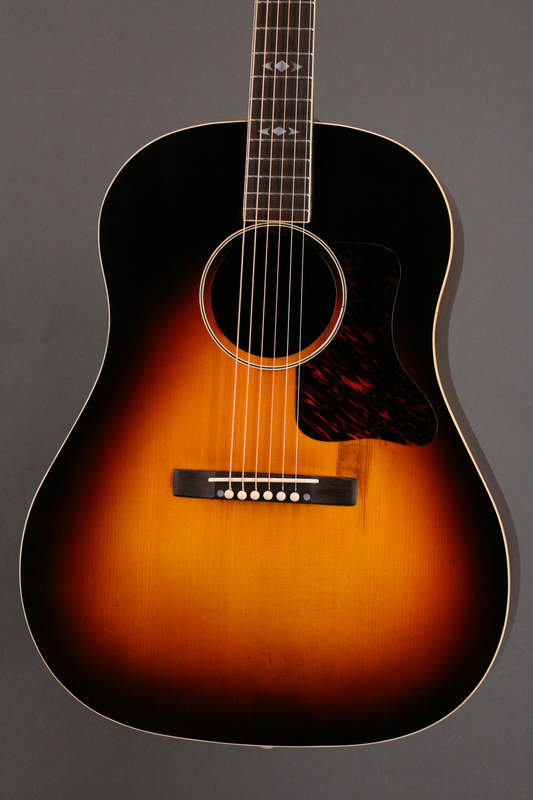 The Gibson AJ from this era is to many the holy grail of the Gibson Acoustic Guitar family. 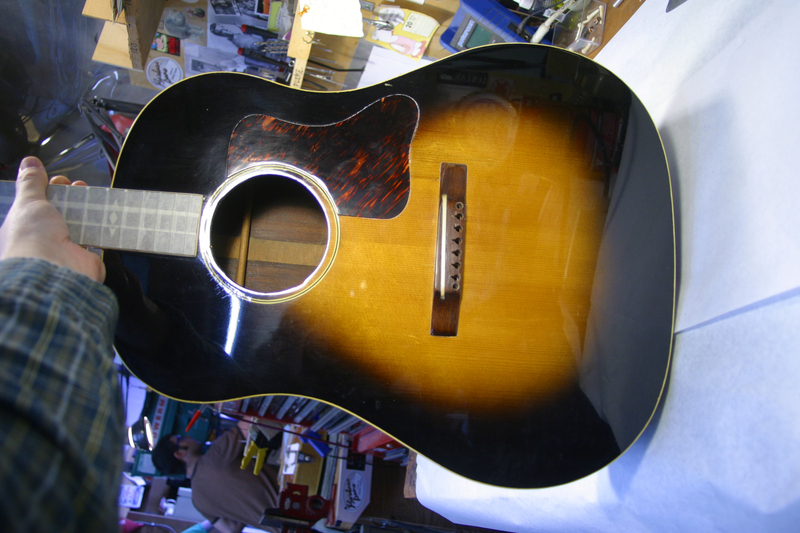 My assignment was to refinish the top with the appropriate sunburst. 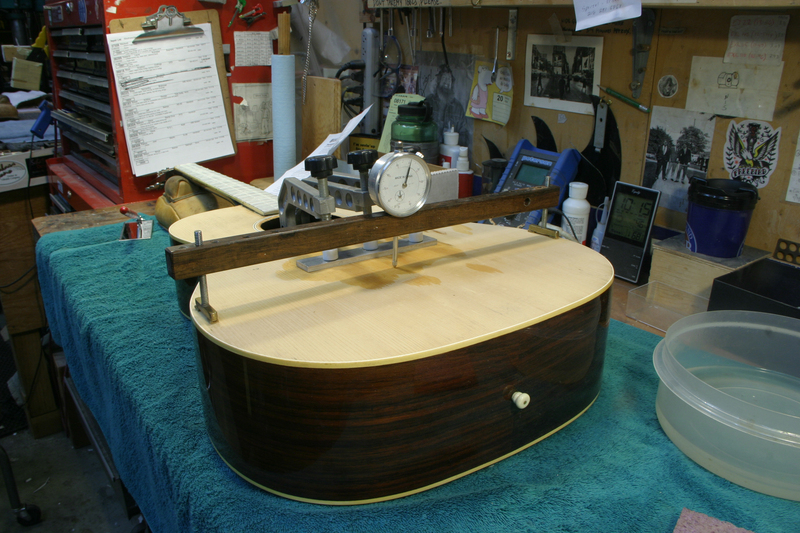 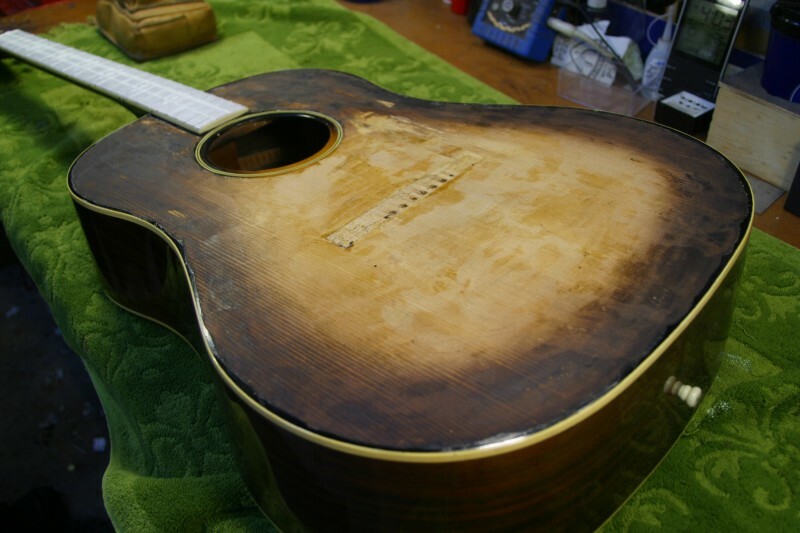 The shape, color and transition was all wrong so i pulled the bridge and pick guard and began to strip the top. 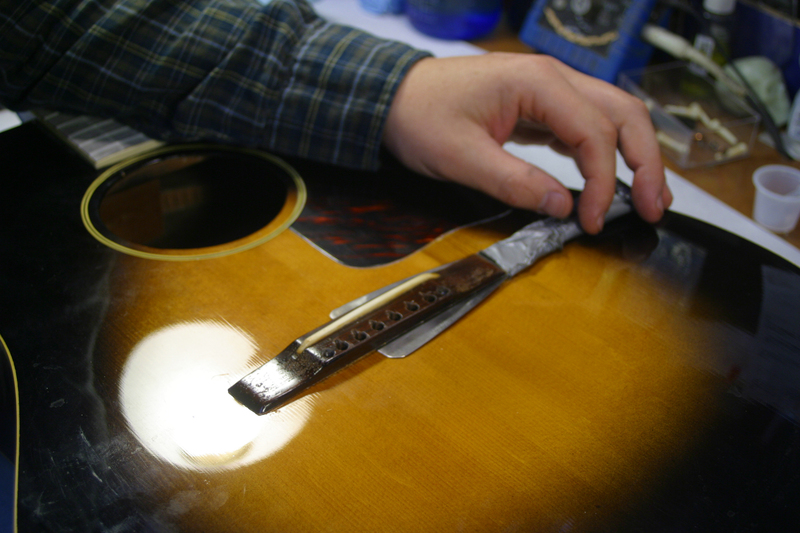 Under the pick guard was a massive gouge that would also need to be repaired. 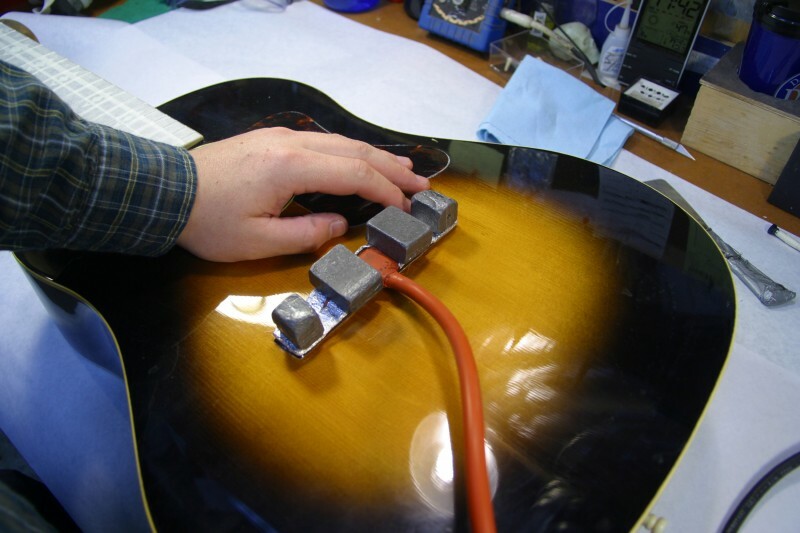 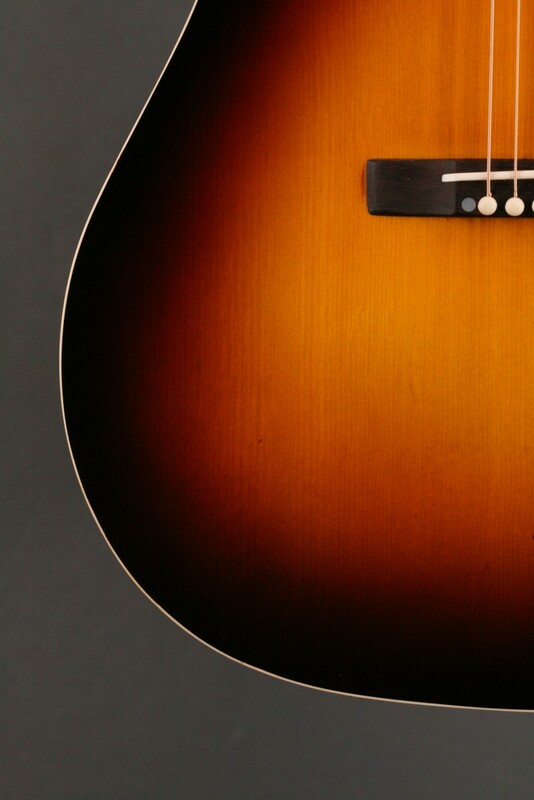 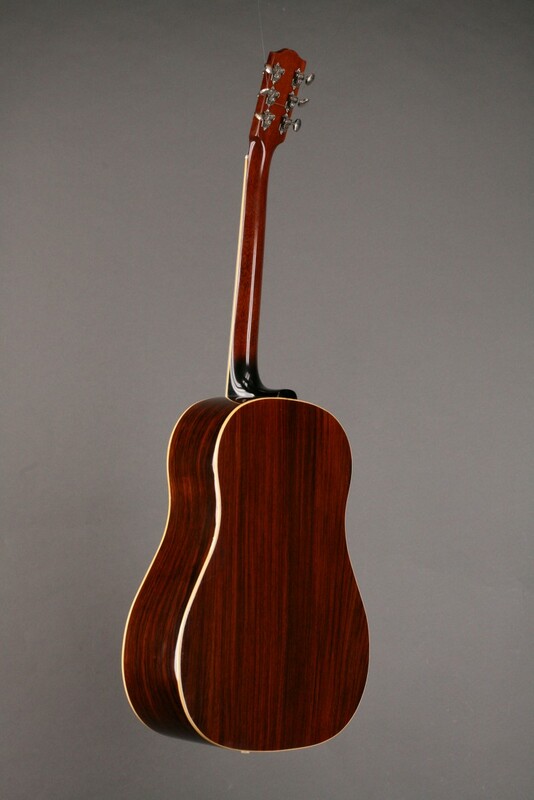 I researched with the customer and guitar historian and friend Richard Johnston until we found a picture of the “right” sunburst and went from there. Some time and lacquer later I arrived at the final beautiful sunburst!